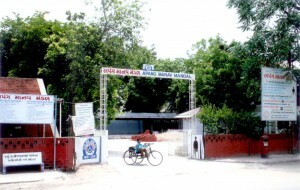 221 boys are admitted in boy’s hostel at Vastrapur. Hostel is equipped with all the facility for disabled. Nutritious and good quality meal and snacks etc. are provided. Apart from this Soap, hair-oil, uniform etc. items for education are provided free of charge. Medical checkup and orthopedic diagnosis is done and required medical assistance and equipment aid are provided. Religious and National Festivals are also celebrated in the hostel with zest.